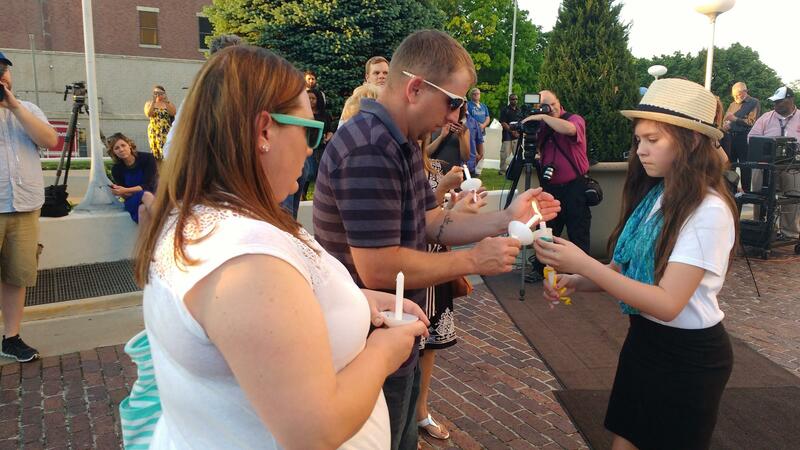 Detective Brad Lancaster's daughter Brianna circulated through the crowd lighting candles. After prayers and the singing of "Amazing Grace," Lancaster’s widow, Jamie, and two school-aged daughters, Brianna and Jillian, lit candles in the crowd. Kansas City, Kansas officer Thomas Tomasic served for the past few years on the honor guard with Lancaster and remembers him as quick-witted and always willing to help out. He says he was in the office when he heard Lancaster had been shot. “It’s something that you think about all the time, but you don’t ever think is going to happen,” says Tomasic. Tomasic says counseling is being offered to other officers though a peer support program. Lancaster was killed after responding to a call of a suspicious person near the Hollywood Casino. Police say Curtis Ayers of Tonganoxie, Kansas shot Lancaster and then continued on a crime spree. Ayers was later shot and apprehended on Highway 71 in south Kansas City, Missouri. The Wyandotte County district attorney plans to hold a press conference at noon on Wednesday. Mayor Mark Holland will officiate at the service for Lancaster scheduled for 11 a.m. Saturday at Children's Mercy Park. Maria Carter is the news director at KCUR 89.3. Follow her on Twitter @mariacarter or send story ideas to maria@kcur.org. A Kansas City, Kansas, police detective is being remembered Tuesday morning as a loving family man and dedicated public servant. 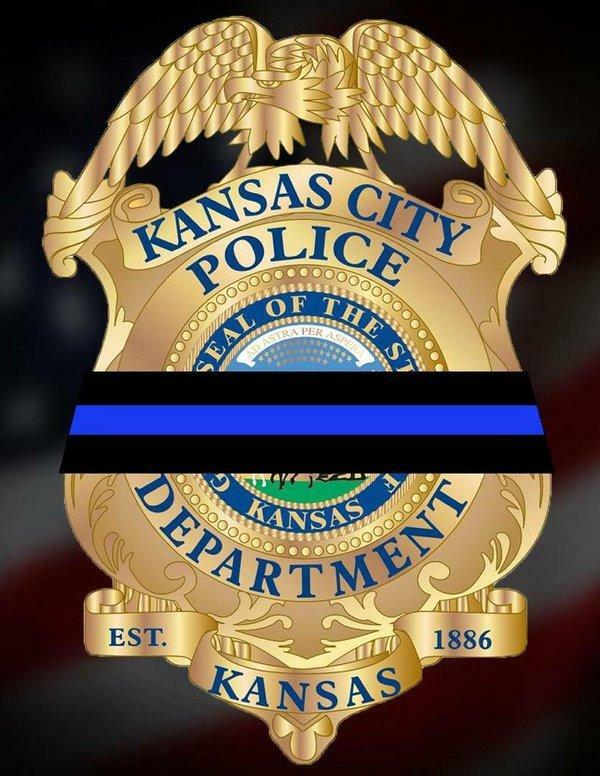 Nine-year veteran Brad Lancaster was shot and killed Monday afternoon near the Kansas Speedway after responding to a suspicious person report. He was shot multiple times before the suspect fled in Lancaster's unmarked car. Lancaster later underwent surgery at the University of Kansas Hospital but died of his wounds. KCK Police Chief Terry Zeigler confirmed the news on Twitter Monday. 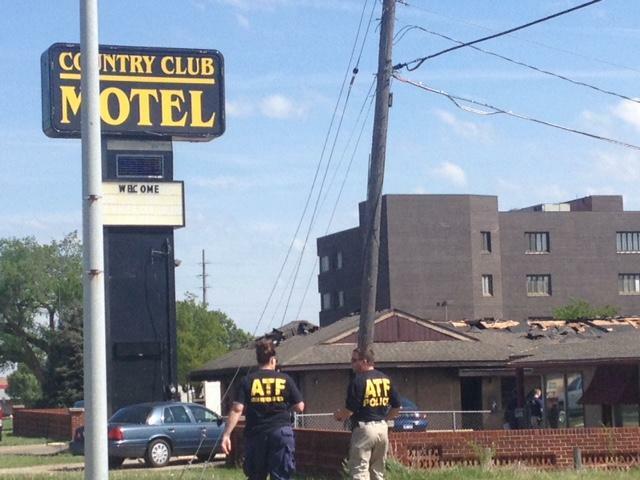 The Federal Bureau of Investigation was processing a crime scene Sunday at a Topeka hotel where three federal agents suffered non-life-threatening injuries after being shot while trying to make an arrest on Saturday night. According to a statement by the FBI, members of the United States Marshals Service Fugitive Task Force were executing a federal arrest warrant for Orlando J. Collins, 28, who was on the Kansas most-wanted list and was considered armed and dangerous. The warrant had been issued for Collins on April 20, charging him with two counts of robbery.